Preheat griddle or large sauté pan to medium heat. With a fork, mash cheese into a spreadable soft consistency and set aside. On the griddle or pan, warm tortillas on both sides until pliable, 30 seconds on each side. Place 4 tortillas on the counter or board, ready for assembly. Evenly spread ¼ of the cheese on each tortilla, leaving an inch from the edge. Drizzle balsamic reduction or glaze and olive oil on cheese. Season cheese with sea salt and black pepper to taste. Evenly place 2 oz. 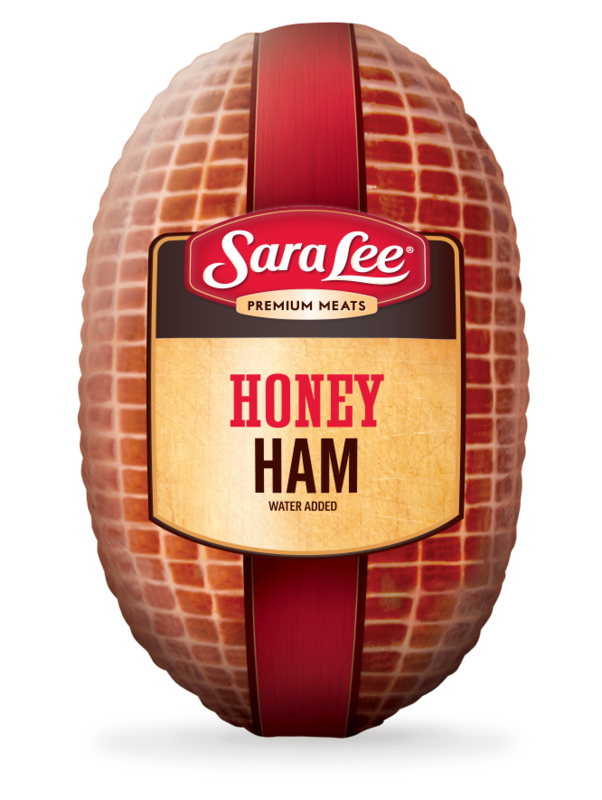 of ham on cheese, keeping 1” from edges. Place 1 roma tomato, sliced in a circle, on prosciutto. Evenly place 3 oz. 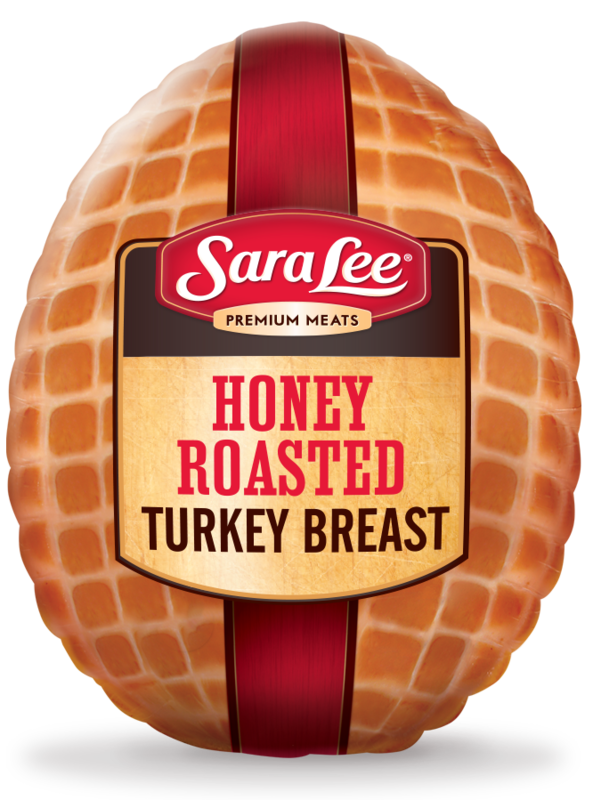 of sliced turkey on tortilla, keeping 1” form edge. 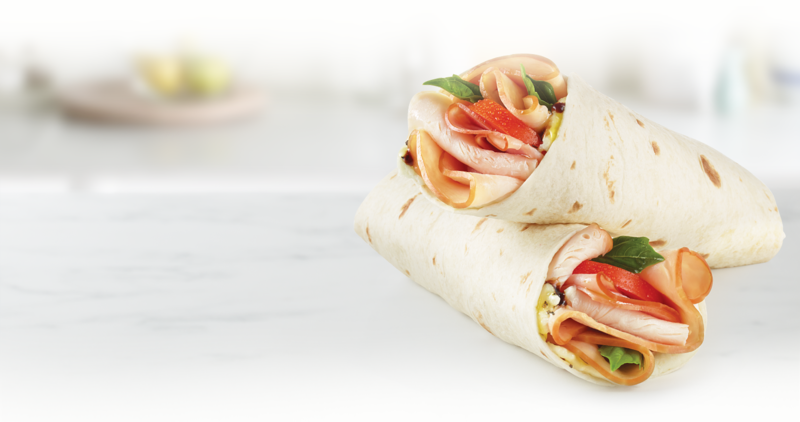 Roll up tightly to form a wrap. Cut through the middle at a slight angle. 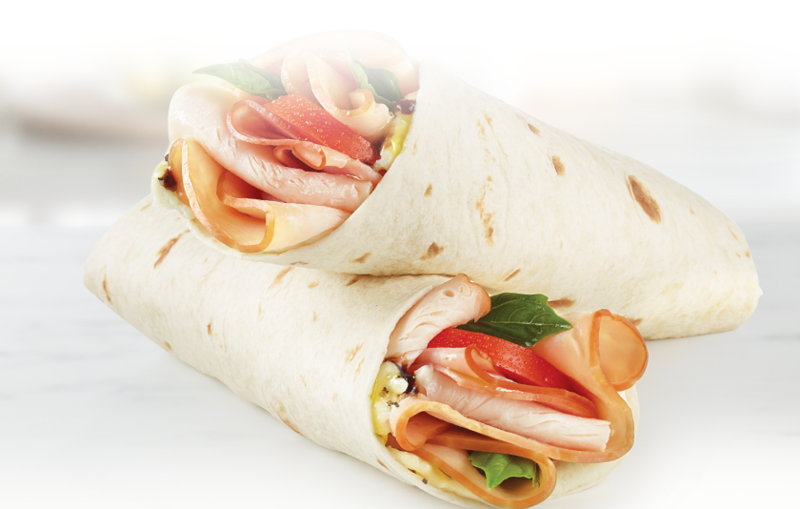 Arrange the wrap halves on platter and serve.